This morning the Senate Committee on Education voted in favor of bills related to vacation and inclement weather policies for K-12 public schools. Senate Bill 160 would amend the law for 12-month schools to allow a maximum vacation period of seven weeks rather than six weeks. Sen. Jim Hendren presented the bill, sponsored by Sen. Cecile Bledsoe, and explained that the option to offer a seven-week break gives “year round schools” the flexibility to align activity schedules with schools on other calendars. SB 160 now moves to the House education committee for consideration. Senate Bill 180 is designed to give school districts some leeway in determining whether to declare an inclement weather day. Sen. Eddie Joe Williams described the difficulty of deciding in the very early morning whether to call off school before road conditions for buses can be assessed. SB 180 would give superintendents up to five school days per year to delay start time or to dismiss school early without losing a credited school day. 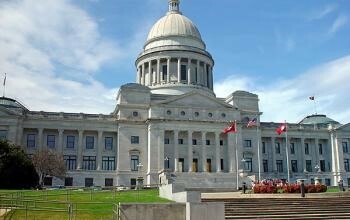 The Senate education committee approved the bill, which moves on to the House education committee’s agenda.